Here at Penny Templeton Studio we want actors to be comfortable and confident before they decide to take a class at our studio. We also are looking for actors who are dedicated and want to work hard at advancing their craft. We offer Free Sample Working Classes throughout the year, to allow actors the opportunity to work with all of our teachers for with no obligation to enroll in a class. We appreciate and enjoy working with all of the actors that have taken these classes in the past. Free Sample Acting Classes for actors who want to participate and learn, not just audit and observe. 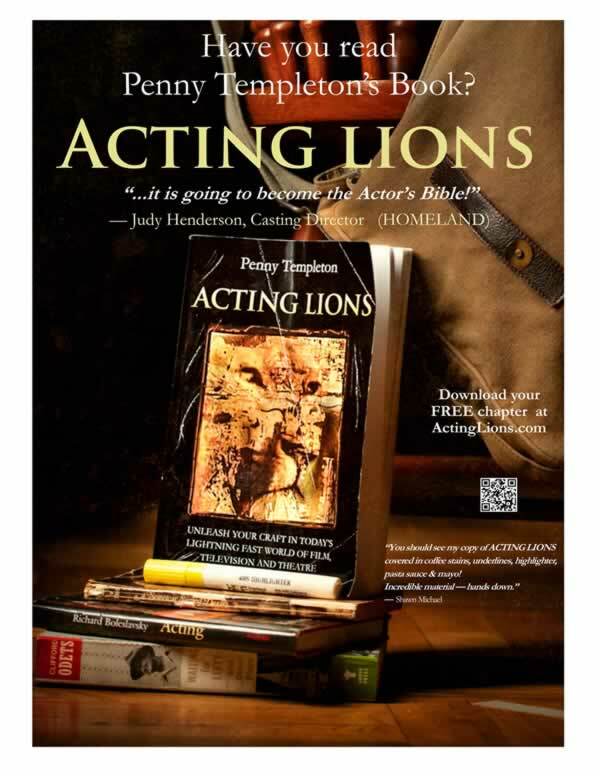 We are Opening up the Studio for actors to get to know Penny & Hank and Penny’s “Creating Acting Lions” approach to acting. We would like to offer actors who are not yet familiar with Penny Templeton Studio the opportunity to participate fully in a Sample Class that offers real learning, real teaching and hands-on personal attention.If you are passionate about acting don’t miss this unique opportunity to meet other Passionate Actors. Find out why our Acting Lions Have booked over 100 Series Regular role in the past 15 years. An observer in class becomes an audience and when actors have an audience they perform instead working on their craft. Class is about working on your craft, exploring who you are, growing, trying new things, failing and getting right back up. An audience impedes that process because no actor wants to fail or look bad in front strangers. Our Sample Free Acting Classes allow actors who are not yet familiar with the studio to fully immerse themselves in the process while learning some valuable acting lessons. Learn who we are, what we do, and how Penny Templeton approaches the craft of acting –through actual experience not merely observing. While we hope you will want to transfer your experience to one or more of our regular classes, there is absolutely NO obligation to sign up for a class. Penny Templeton is dedicated to raising the bar for the craft of acting. We are looking for actors who are passionate about the craft, love to act. Actors who love the hard work that goes into to creating a role. Actors who relish taking risks. If your goal is to land a TV role and become famous Penny Templeton Studio is not for you. If you possess a passion for acting and your goal is to become the best actor you can be through dedicated hard work you are the actor we are looking for. **Our Master Classes and Advanced On Camera Classes are not for everyone. To be invited to join one of these advanced classes an actor must exhibit a passion for the craft and relish the hard work that it requires. *Actors are limited to ONE free sample class.